The NPA has stressed that any changes made to regulations governing animal transport must be based on sound science, rather than emotive concerns or political expediency. The association has published its response to Defra’s call for evidence on ‘controlling live exports for slaughter and to improve animal welfare during transport after the UK leaves the EU’. Outlining the principles underpinning the NPA’s views, the document states: “Whilst the NPA places animal welfare at the forefront of any consideration, we must stress that concern related to the transport of animals has to date been largely driven by perceived wisdom rather than robust scientific evidence. The document highlights how the vast majority of movements officially described as ‘exports’ or ‘imports’ are actually movements across the Irish border, most of which will be relatively short distances. Of 11,359 live pig exports in 2017, 8,917 were to the Republic of Ireland. The only other significant quantities were to Belgium (1,204) and Italy (968). Similarly, of more than 448,000 live imports, all but 3,600 came across the Irish border. While just over 9 million pigs a year are slaughtered in the UK, there are no live pigs exported or imported for slaughter outside of the British Isles, the document states. 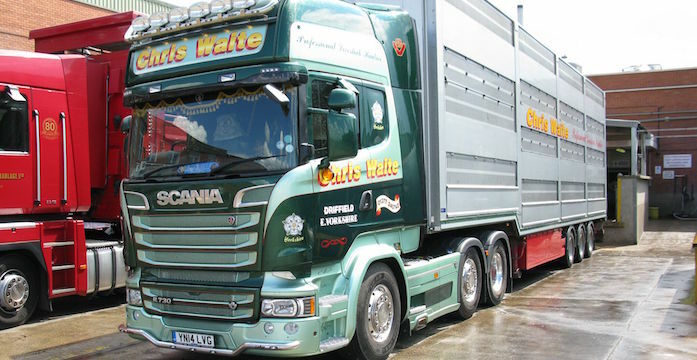 The document concludes: “We have seen no evidence to suggest that pig welfare during transport is poor. We believe that the current welfare in transport requirements and standards are fit for purpose and working well, but there are a few areas that could be improved (these are listed in the document).